Matcha Powder is green tea leaves, ground. Matcha has been consumed for centuries in Japan as part of their traditional tea ceremony, but it’s recently become popular amongst health foodies for it’s many health benefits, that include powerful antioxidants, improved alertness and mental clarity, and better metabolism. With anti-inflammatory properties and a high antioxidant count, it really makes for the healthiest of drinks. Matcha contains five times more the caffeine than coffee. However, Matcha is slow releasing. The caffeine is reabsorbed by the body over a longer period of time so it won’t give you the caffeine high that coffee does, but instead will keep you going for much longer. In addition, it has anti-ageing properties, helps with memory and concentration, and increases energy and endurance. 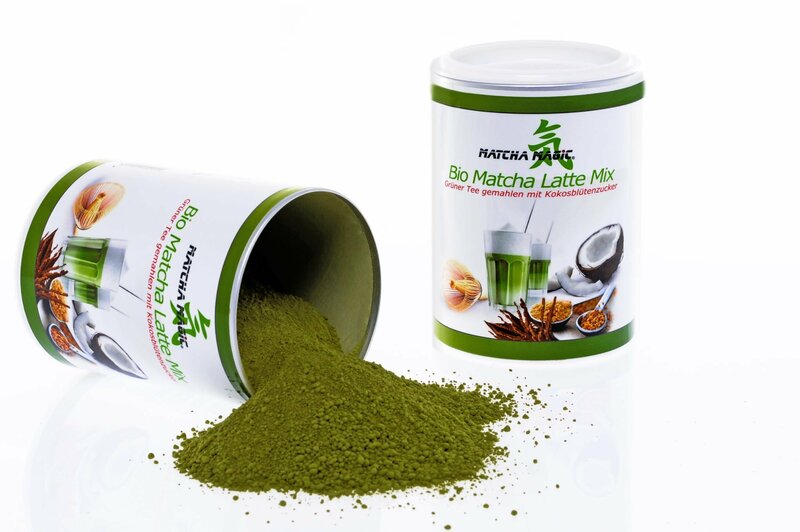 The organic Matcha Latte mix of MatchaMagic is the ultimate superfood. 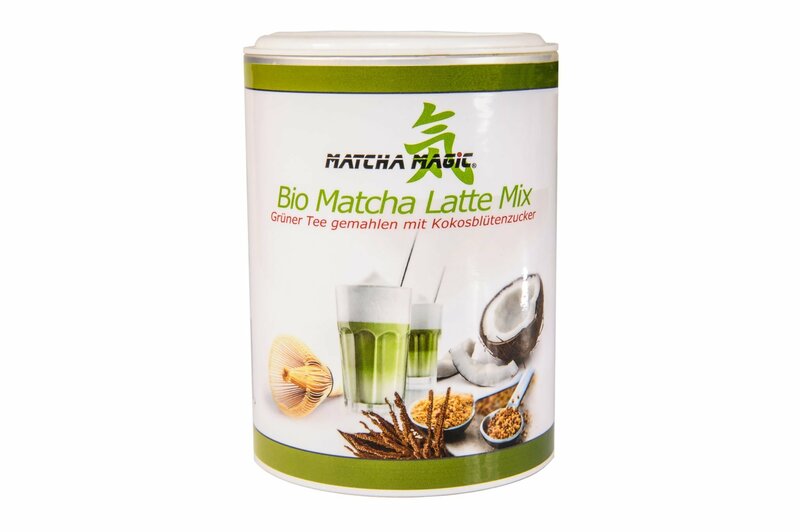 This mix contains organic Matcha powder, made from ground tea leaves, and organic coconut blossom sugar, which has a low glycaemic index and numerous minerals. It is perfectly suited for lattes and smoothies. 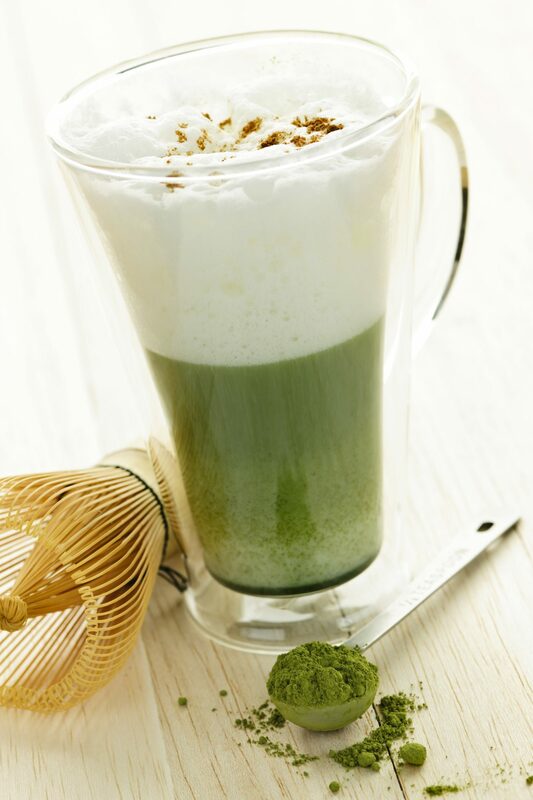 The caffeine has a long-term energizing effect and matcha contains many anti-oxidants and vitamins. 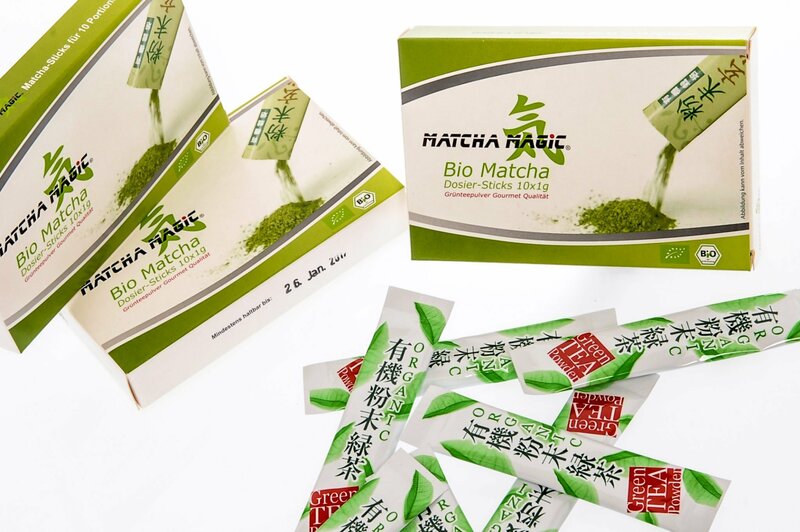 Matcha has a full-bodied unique flavour and a lingering sweetness. MatchaMagic represents energy and stands for green caffeine. The special tea leaves for MatchaMagic are sourced exclusively from controlled organic farming in southern Japan. With Matcha you consume the entire tea leaf. 100% of the valuable ingredients can therefore release their beneficial effect.